As Samuel L. Jackson would say, "When you absolutely, positively, have to have a Christmas themed horror film where a creeper kills every mother in the whole damn sorority house...accept no substitutes." There are arguments to be made against Black Christmas. I know, I've made plenty of them before. Us horror fans find a lot of ways to get our knickers in a twist, and one of our favorite arguments is about whether or not John Carpenter "ripped off" this film when he made Halloween. If you know me - or if you just read things I write - you probably know that I'm mad in love with Halloween. So when people start to accuse it of stuff, I start to point out every little thing I can to prove them wrong. Is it juvenile? Probably. But it's fun too. 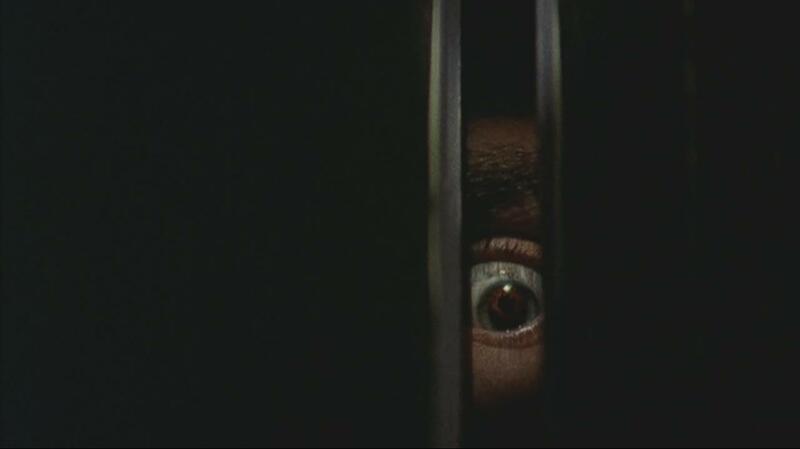 Since Halloween has been first and foremost in my horror lovin' heart for a long, long time, I've always approached Black Christmas with a skeptic's eye. While I'll never admit that it's a better piece of work than Halloween, I have to say that each viewing has shown me more and more about how effective Bob Clark's proto-slasher can be. 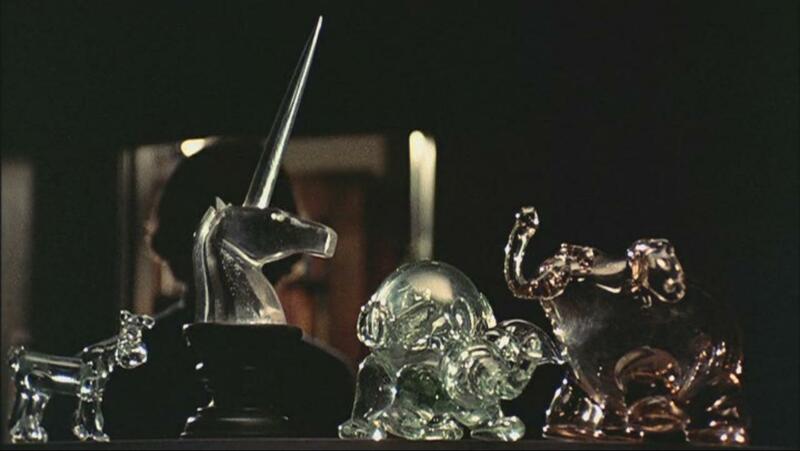 Capitalizing on a fantastic setting - a sorority house full of the kind of coeds you only found in the 1970s - Black Christmas could also be seen as an precursor of the 1978 horror hit When A Stranger Calls. The few girls left in the house, led by the oft-drunk Margot Kidder and the timid-but-also-knocked-up Olivia Hussey, are harassed by an increasingly vile prank caller - who (unbeknownst to them) is inside the house, killing people. Like Halloween (I introduced the comparison, might as well roll with it) the characters run through the film unaware of the danger around them. That's a big part of the twisted fun that can be had with Black Christmas. We see the actions of the killer and learn more about him than the main characters do, but we're still left in the dark about the who and why of the situation. In the meantime, we follow Hussey around as she whines and talks to her angry boyfriend about a potential abortion and then spends the rest of the film answering the phone and being scared. Hussey's performance might be my biggest problem with the film, because her whiny performance just doesn't draw me in as well as, for example (and since we're already talkin' 'bout it) Jamie Lee Curtis' work in Halloween does. 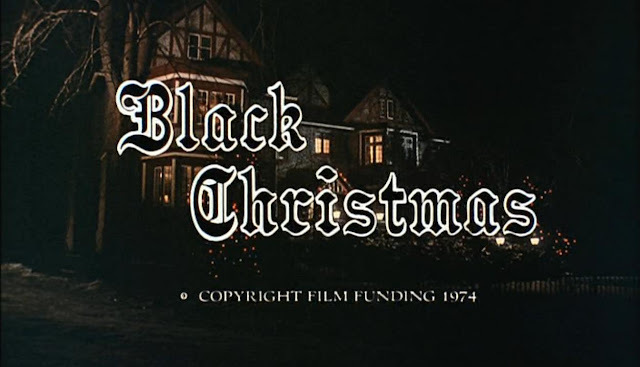 Black Christmas' lead character might be its biggest problem, but that's a small piece of the bigger picture. 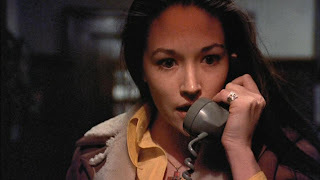 For me, Black Christmas is best viewed as an exercise in tension. Clark toys with the viewer wonderfully throughout the film, specifically when he puts the camera in the eyes of our killer. This would become common practice in horror in the years to come, but there's something very natural and gripping about the viewpoint we have as this killer stalks through the house. We know how sleazy and unhinged this killer is, thanks to the phone calls, and that makes the moments when we see potential victims through his eyes that much more uncomfortable. I'm not one of those people who think Black Christmas is one of the best horror films of all-time - the only characters who are any fun to watch are the comic relief ones (Kidder, the house mother, the stupid deputy) and there are a few lulls thanks to the police investigation that goes on - but, like Samuel L. said in the opening, you simply can not match this film when it comes to Christmas-based chills. And for that reason - plus one of the creepiest killers out there and an unhinged and hilarious Margot Kidder - Black Christmas is still worth seeking out when the holiday season rolls and you need your horror fix. I want to bugger Olivia Hussey (as the bird was in 1969 when the bird was 18, not as the bird is now obviously). I want to bugger Margot Kidder (as the bird was in 1966 when the bird was 18, not as the bird is now obviously). Hey, "The Mike", Merry Christmas geezer, have a great time my old mate. This movie is great, but yeah it doesn't touch Halloween. I like that John Saxon plays a law enforcement type in two slasher movies-Black Christmas and A Nightmare On Elm Street. 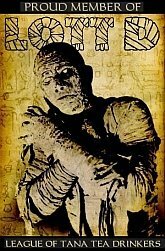 And how in both movies he fails to do anything, heh.